It is a Digit-al Dozen week and our prompt this week is texture. I will be honest - I LOVE the look of texture but cannot wear it for long periods of time. I need my nails to be smooth or I start picking at it. I started with a coat of black and after letting it dry added a top coat. Before the top coat could dry, I piled on studs. I really liked how this one turned out with all the pops of neon over black. Be sure to check out the other manis from the Digit-al Dozen below. Loving these colors on the black. 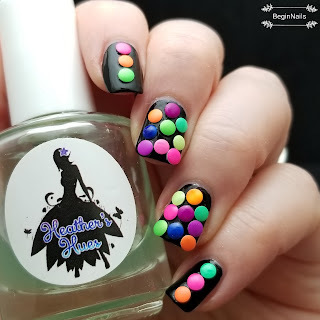 They look like fun little candies on your nails. That is an interesting mani! 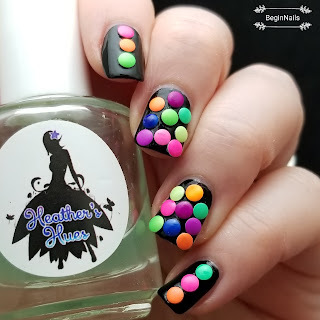 Never thought about using neon studs that way. This is so cute! I vaguely thought of using studs for one of this week's looks... but that never materialised. Love this! So clean looking yet also so creative! 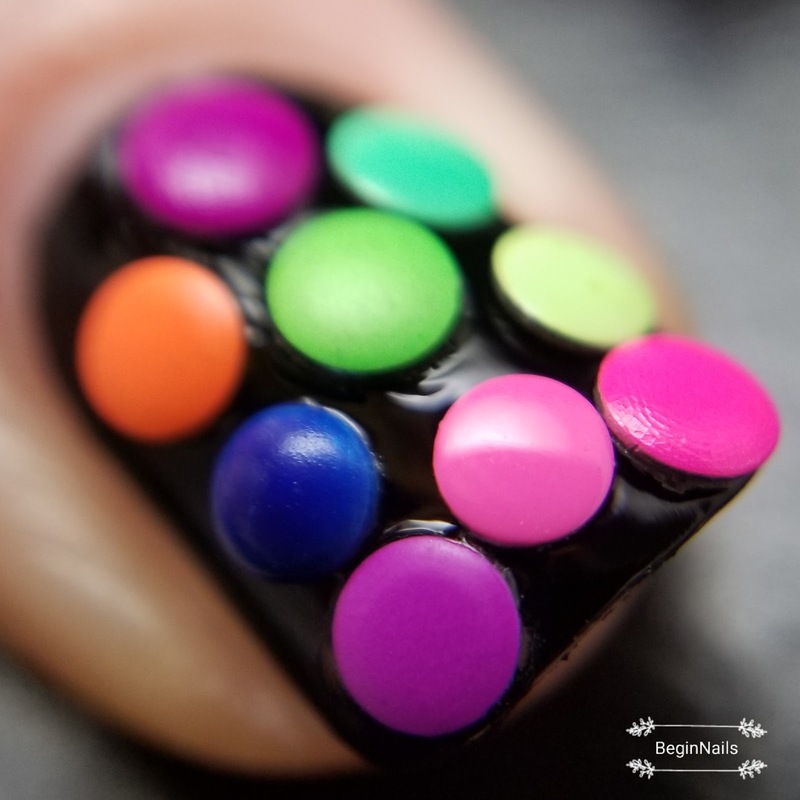 What a cool mani! The colors really pop! I love how the color pops against the black background! Great choice of base! Love the studs. It’s so much fun! I’m the same way! But this is beautiful. All the happy colors! So fun! Oh these are so colourful! Love it! Your nails remind me of those candies you would rip off the paper! Candy buttons!